I’m Sean Metcalf and I’m an Atlanta-based Designer, Creative Director, and aspiring Professional Golfer. 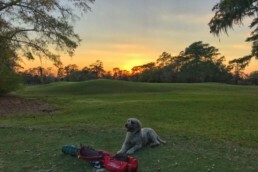 I’ve been playing tournament golf for over 20 years and absolutely love the constant challenge that this game brings. When news about a potential matchup between Tiger + Phil started leaking, I got really excited. I avidly followed the murmurings and rumors about the maybe-match for weeks. Fans speculated on many things about the match, but the most talked-about topic was what Tiger & Phil would play for. Finally, the match was formally scheduled, and it was announced that they would play for $10 million dollars… womp, womp. Don’t get me wrong, $10 million dollars is a lot of money, but the fans are smarter than that. We know that Tiger & Phil won’t be playing for their own money. In addition to the ‘stake’, Tiger & Phil will most likely receive appearance fees just for being there –– my mind goes to Mayweather’s $100m payout just for showing up at the McGregor fight. Not to mention, it’s a subtle slap-in-the-face to the $10 million dollar bonus for a year’s worth of hard work awarded to the FedEx Cup Champion. 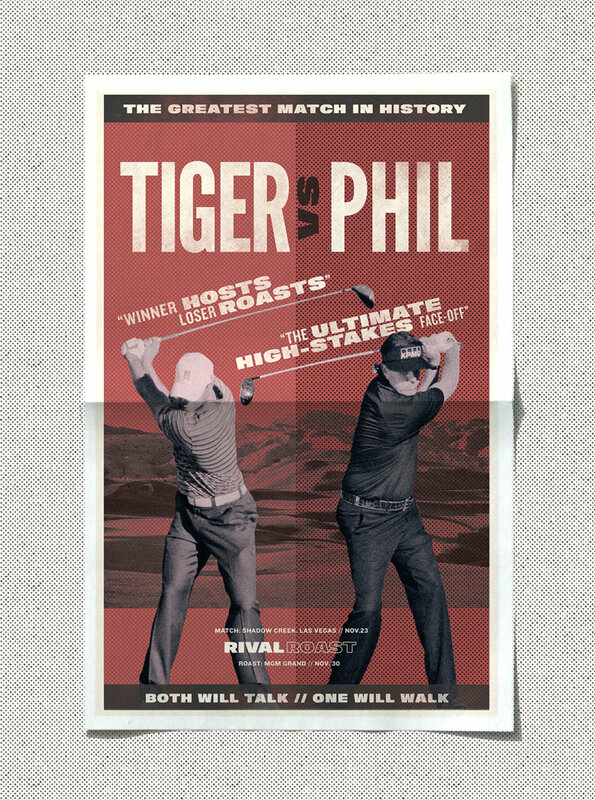 I love the idea of an epic Tiger/Phil matchup, but the fans deserve a show worth watching. Back in July, I was driving back from the golf course listening to PGA Tour Radio. Michael Breed was weighing in on the match, and listeners were mostly calling in to discuss the thought of the $10 million dollar stake. I heard a common theme through the callers, and it was an overwhelming dissatisfaction with the big-money stake. If you read the blogs and follow social media – you’ll see the same thing. 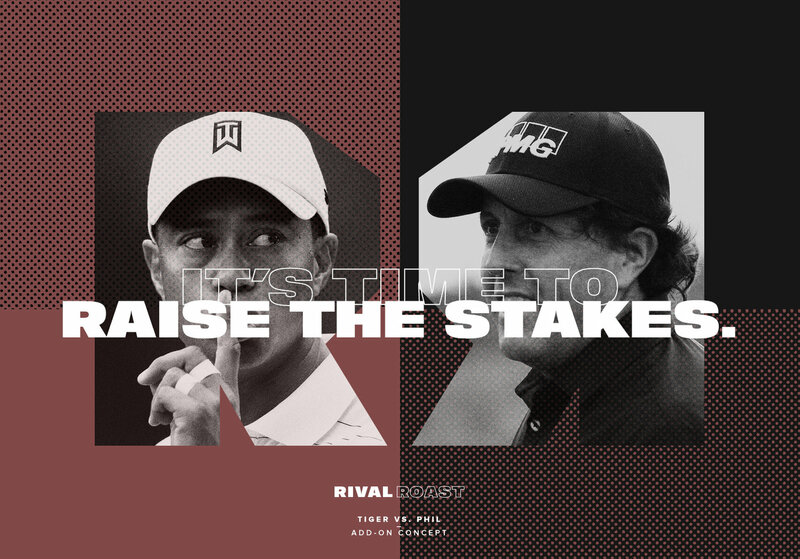 I wholeheartedly agreed with the sentiment, and think that the stake should be one that will make Tiger & Phil SWEAT….and also add a bit more fun to the mix. To me, there is no greater stake than pride & ultimate bragging rights….and the opportunity to savor a win in as many ways as possible. During that drive home, I came up with a new idea. I actually considered calling into the radio show right then and there, but decided…’Hey, I’m a designer. I’ll just make it myself.’ I got home, immediately started dreaming about the idea with my wife, and we decided that we should make it happen. 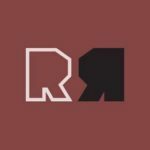 RIVAL ROAST is a concept for an add-on stake and follow-up roast event that will stoke players, fans, and media to a whole new level. Winner of the epic showdown will get to host a roast of the loser. I imagine fellow players, caddies, celebrities, friends, and comedians all coming together to help ‘roast’ the loser….with class of course 😉 It will be hilarious. So far, everyone that I’ve shared the idea with has gotten that rush of excitement, too – from junior golfers to senior level. 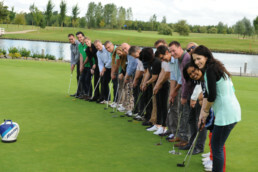 It also opens the event up to the non-golf crowd that loves the thrill of sport and entertainment. Now that the match has been announced over Thanksgiving weekend, it will be competing with other headline events. Unless the match can get fans emotionally invested (and I don’t think donating the $10mil to charity is the answer), then the whole thing will flop. Rival Roast gives the opportunity for increased smack talk, drama, tension, and epic entertainment. It’s a no-brainer when you think it through. Literally, everybody wins. If we the fans pursue this, it could be one of the most exciting things to happen in our sport for a long time. Our goal is to share this idea with as many people as possible and hopefully get Rival Roast on the radar of the networks and the players. We hope that the fans love this idea so much, that the broadcasting network won’t have any choice but to RAISE. THE. STAKES. We are just two designers from Atlanta, and it’s a crazy long shot of an idea, but we feel confident that this idea will speak to those who care about the match. Who knows, with an event like this one, we might even garner a little enthusiasm from people who don’t care about golf at all!